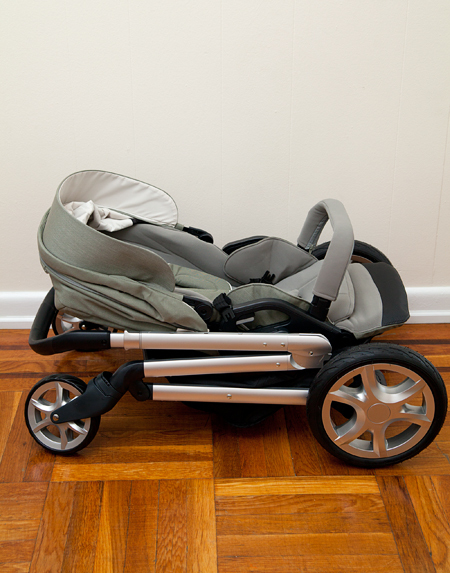 The MIXX is the third stroller in the Nuna lineup. I'm very excited for the opportunity to review it, thanks to the wonderful people at Baby's Den. Of course, as always, all the over-opinionated opinions are entirely my own. 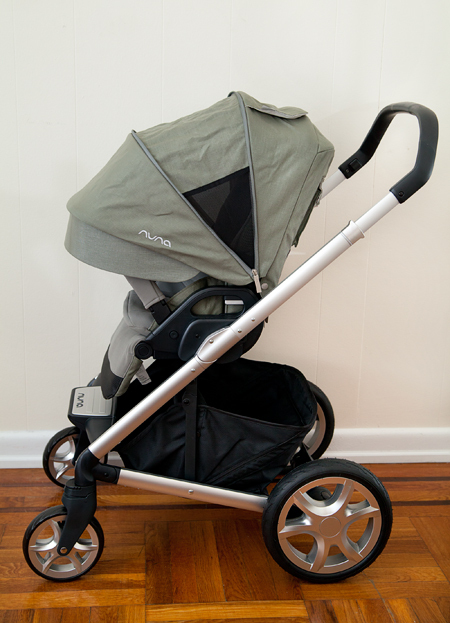 The Nuna MIXX looks like one of those strollers that pretty much has everything. 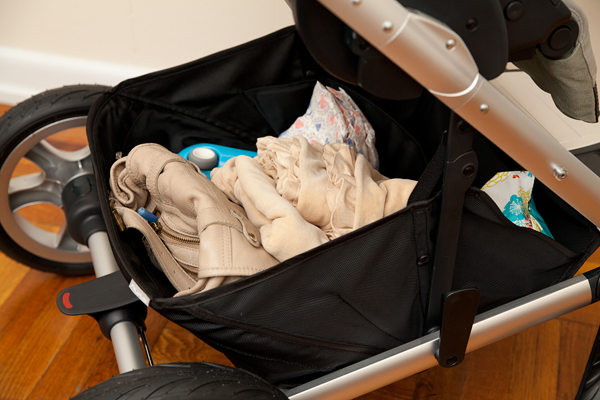 Think of your stroller "shopping list" and it will probably check most, if not all of the daily requirements. Of course everyone has different needs, but when it comes to every day, city use and baby's comfort, MIXX has got a lot to offer. 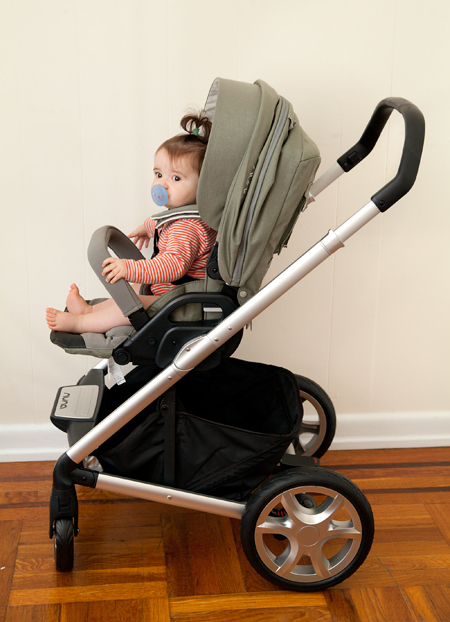 The stroller can be used with the reversible seat unit or as a travel system with the Nuna PIPA car seat. 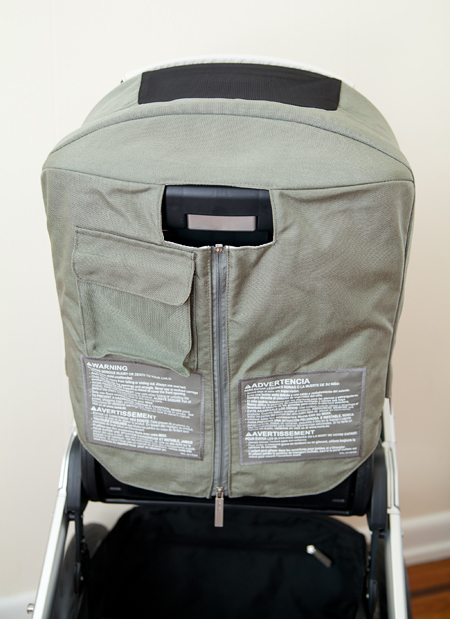 Included with the stroller are car seat adapters a rain cover and a 2 year warranty from date of purchase. 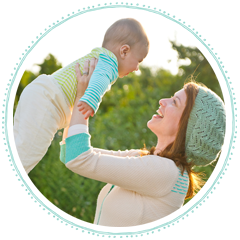 Nuna will also be releasing a parent cup holder and a baby snack tray soon, sold separately. 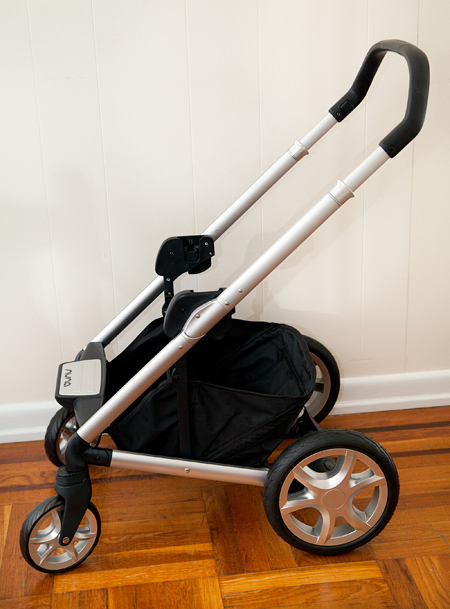 If you're in the market for a full size, high quality stroller, the MIXX is definitely worth checking out. Seat back height - 19.5"
Edge of seat to foot rest - 7.5"
The seat is easily reversible so that your baby can face you or the world. It's made with convenient handles on either side with unlocking buttons built in. The handles make it really effortless to lift the seat off the frame. There's a one-hand, five position recline, including a nearly flat position. The recline is achieved by pressing a little lever. I love how easy and effortless it is! No dreaded straps to deal with. I also love that the backrest reclines independently of the seat, unlike many strollers that are made with a 'bucket seat'. 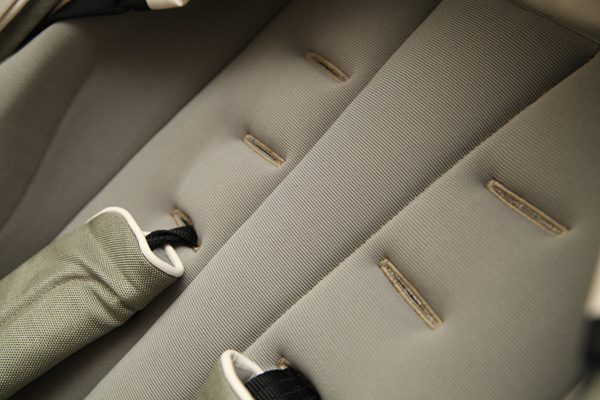 The seat is very plush and the seat textile is Oeko-Tex certified. This means that it's ecco friendly and free of any harmful substances. There's a swing away, fabric covered bumper bar which can be opened on either side or removed entirely. To open the bar, you need to press a button on the side of the stroller, which is pretty typical. What I find slightly annoying is that the same button needs to be pressed in order to close up the bar. It's not a big deal, but I'm just not a fan of unnecessary extra steps. There's a small storage pocket in the back of the seat to hold your small essentials, like phone and keys. I've tested the stroller out with the help of 10 months old Little Missy and 2.5 year old Ben. Although the seat was incredibly comfy and quite roomy for both, Ben will probably outgrow it height-wise by the time he's 3. For reference, Ben is 29lb and 36" tall. Overall, I think the seat on the MIXX is one of the best I've seen, and this is coming from a huge stroller snob. I've always been very particular about stroller textiles (what am I not particular about?!). 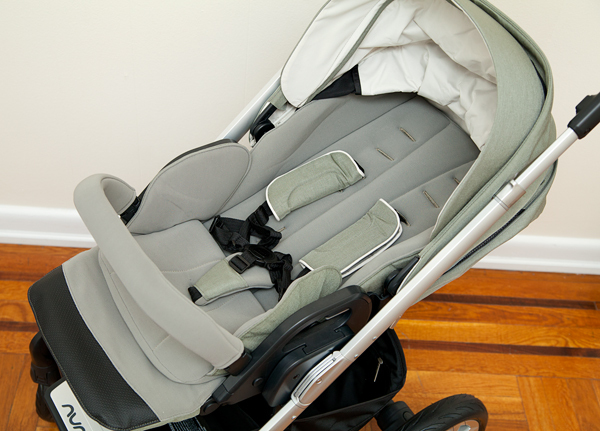 The seat fabric on this stroller is super soft and luxurious, with a slight ribbed texture. As I mentioned before, it is Oeko-Tex certified. The fabric seems breathable which is another one of my major requirements. And here's the really good news: the seat fabric is removable and machine washable! LOVE that! 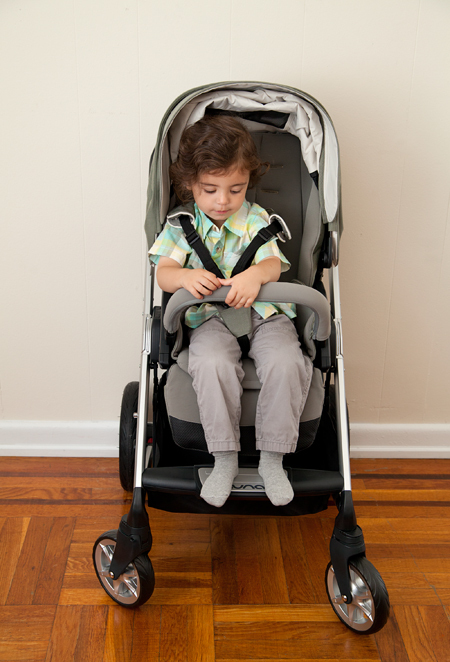 If you've read any of my other stroller reviews, you know how I feel about leg-rests. If you're new here, well let me tell you, I think a leg-rest is absolutely essential! Who wants to sleep with their legs dangling down? If you ever tried to fall a sleep on an airplane, you'll know what I mean. Good, comfortable sleep requires stretching out, as nature intended. This is why I place a huge importance on a good leg-rest when evaluating a stroller. 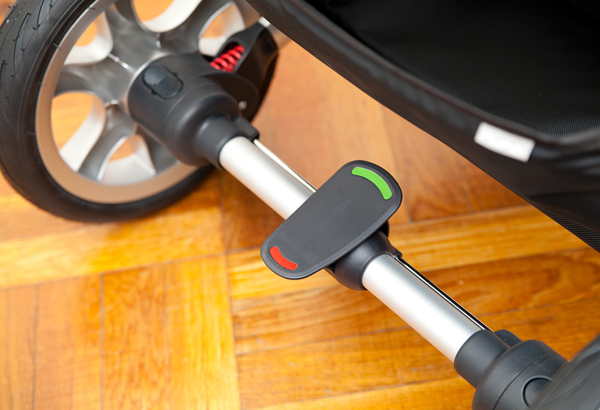 The leg-rest on this stroller has 3 positions and is adjusted via two buttons on either side. 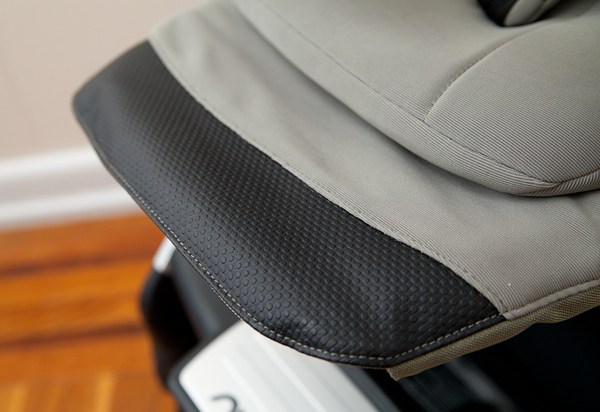 The lower end of the leg-rest is covered in rubberized fabric, which helps keep it clean. In regards to the length of the leg-rest, it was just perfect for Little Missy with some room to spare. When I tried it out with Ben, it sagged under the weight of his legs. It was also too short for him to stretch out comfortably. Since Ben doesn't really sleep in strollers anymore, I am not particularly concerned by this. On a plus side, I really like the sturdy plastic foot rest on this stroller. It is sufficiently wide to comfortably support Ben's feet and is easy to clean, unlike the fabric covered footwells on many other strollers. Ahh, the canopy! MIXX has a really wonderful, expandable canopy. There's a large mesh peek-a-boo window with a magnetic flap on top. Once the extra panel is zipped out, there are two more mesh windows on either side. The front visor can be tucked inside the canopy or zipped off. The canopy is lined for optimum protection from the elements. 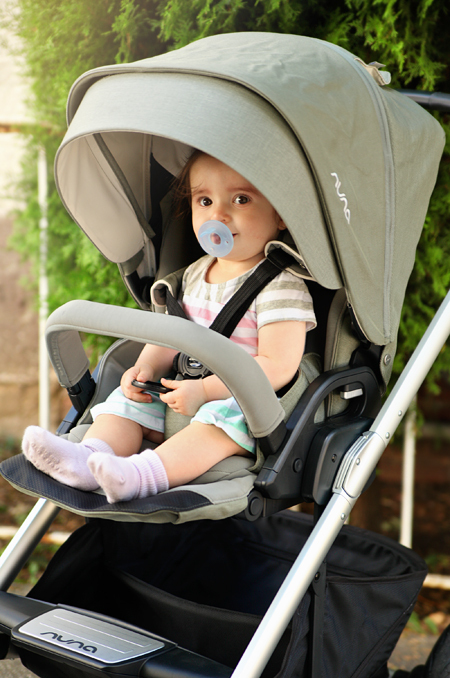 While I really like this canopy, I wish it extended even further to the bumper bar like the canopy on the Snap Ultra stroller. 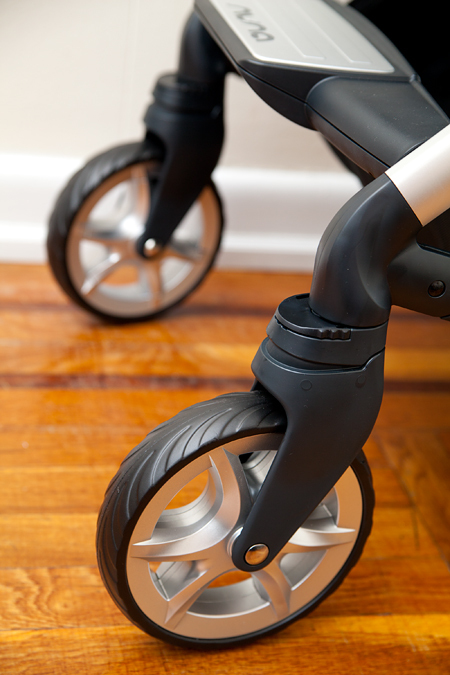 The Nuna MIXX rolls along on 7" inch foam front wheels and 11", hard rubber rear wheels. 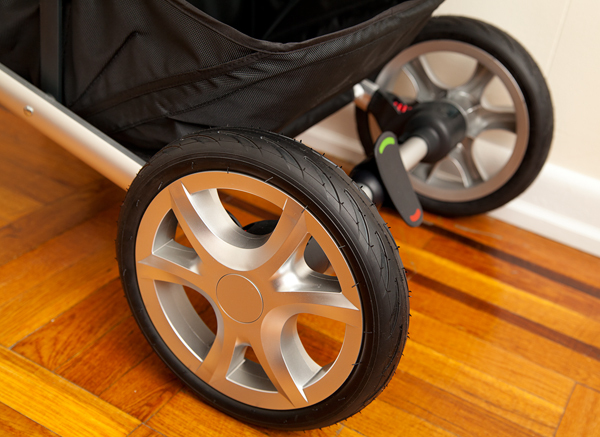 The stroller has all-wheel suspension to help absorb those pesky bumps in the road. 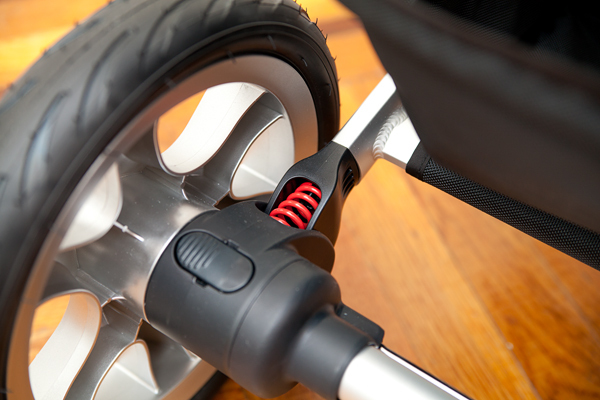 The front wheels can be locked from swiveling (helps if you're navigating grass or snow). 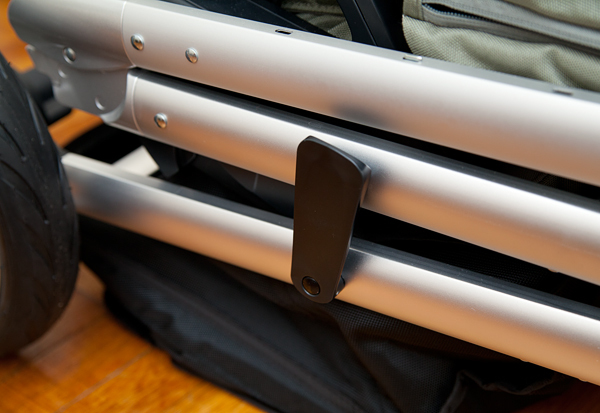 Both sets of wheels have quick-release buttons so you can pop off the wheels for more compact storage. The MIXX is not an all-terrain stroller by any means, but for regular city life it's sufficient. It goes over grass and handle small cracks in the pavement. It does stumble over raised obstacles like tree roots and raised pavement. As for steering, this is not one of MIXX's strong points, especially with a toddler. With 10 months old Little Missy steering was tolerable, though not amazing. With Ben in the stroller steering became pretty sluggish. The stroller feels heavier then it's listed weight and once you have a larger toddler in it, pushing becomes a bit of a workout. Maybe it's just me. I'm a 5'2, 110 lbs weakling. Perhaps a larger parent would not have any trouble. The stroller also lacks curb pop. Pressing down on the handlebar to lift up the front wheels did not work for me, especially with Ben in the stroller. To lift up the front wheels, I had to push down on the rear axle with my foot. To be fair, I've learned to do this with a lot of strollers but I still wish it wasn't so. 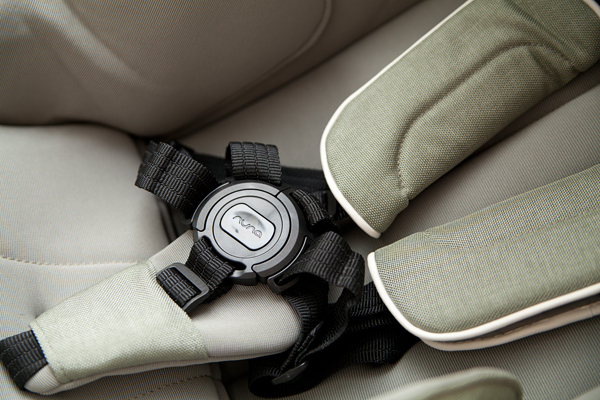 Nuna MIXX has a tangle-free, breakaway harness which can be used as a 5 point or a 3 point harness. The length is really easy to adjust and the crotch pad is really cushy and stays in place. The strap pads are a little stiff but happily don't slide down. The handlebar has an ergonomic shape and is height adjustable via two buttons on the inner side. According to my measurements from the ground, the handlebar adjusts from 40" to 43". The top portion is coated in rubber which makes it surprisingly comfortable to grasp. Again, good thinking on the part on Nuna designers. Having rubber instead of foam on the handlebar, means it will not wear out as quickly. One little quirk that I found is that when extended, the handlebar wiggles slightly. This a bit annoying, but then again a few of my other strollers have the same quirk. I LOVE the basket on the MIXX. It's gigantic and has a compartment divider. Here I have in it my large purse, a baby blanket, pack of wipes, some diapers and some toys. As you can see, there's still plenty of room left. This is a really great basket to go grocery shopping with and keep your baby essentials and groceries neatly separated in the two compartments. The basket is really easy to access since the seat sits pretty high on the stroller. 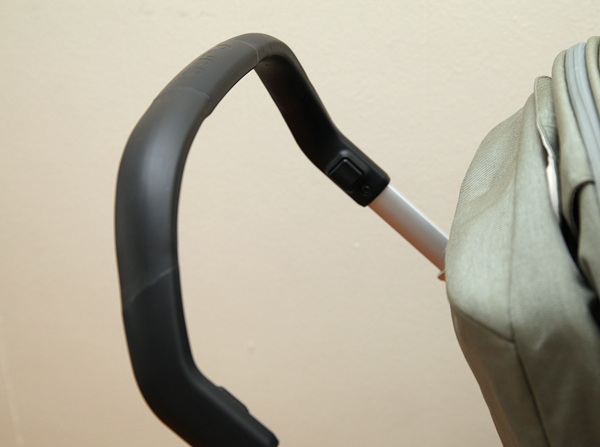 This stroller has one of the best folds I've seen on full size strollers. It can be folded with the seat facing in either direction. The fold is is one-step, but requires two hands. Unfolding the stroller can be done with one hand. All you have to do is pull up on the handlebar and give the stroller a little shake to snap it open. 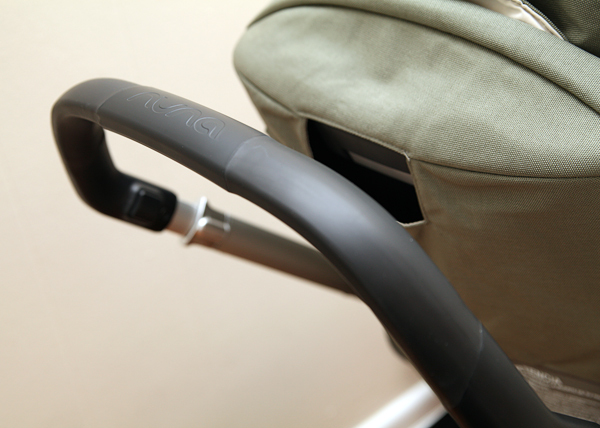 When the seat is facing forward, the stroller folds with the seat in, which protects the seat fabric. 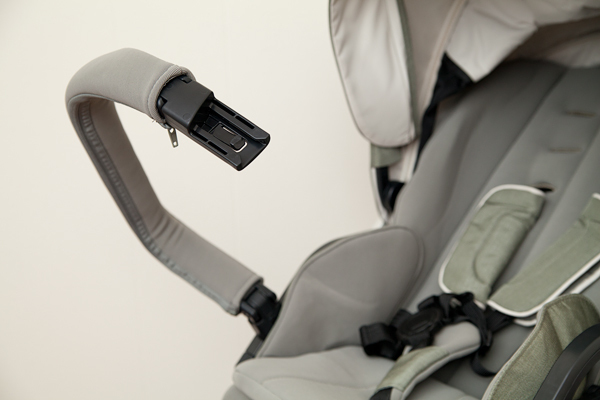 There's an automatic lock which engages when the stroller is folded. 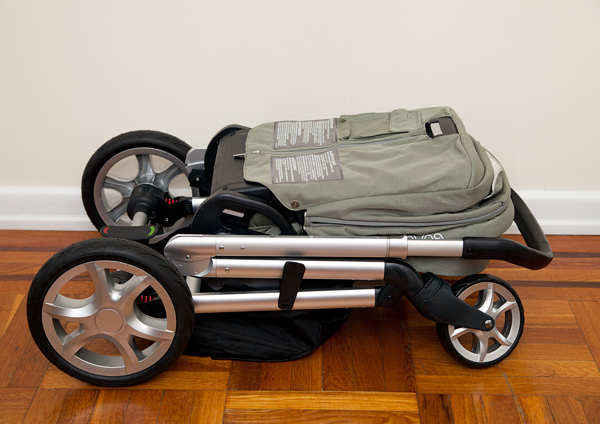 The folded stroller rests on it's wheels and can also be pulled along on it's rear wheels like luggage. MIXX has a rear wheels locking pedal break which is flip flop friendly - my favorite kind! 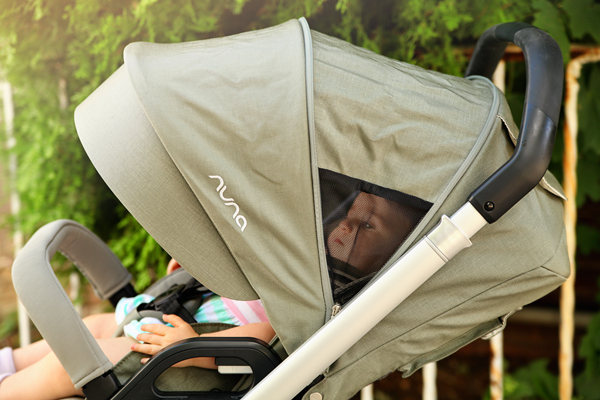 Nuna MIXX is a very well thought through, full featured stroller with just a few minor quirks. Besides for being loaded with user-friendly features MIXX is very attractive and has a clean, modern look. While MIXX has a maximum weight capacity of 50 lbs, your kids may outgrow it in height well before reaching the weight limit. I've decided to give the Nuna MIXX four out of five stars rating. I think this is a very intelligently designed stroller. The seat unit, the fold and pretty much everything else on this stroller is as good as it gets, with the exception of the push. The stroller is also rather heavy which exasperates the sluggish steering. 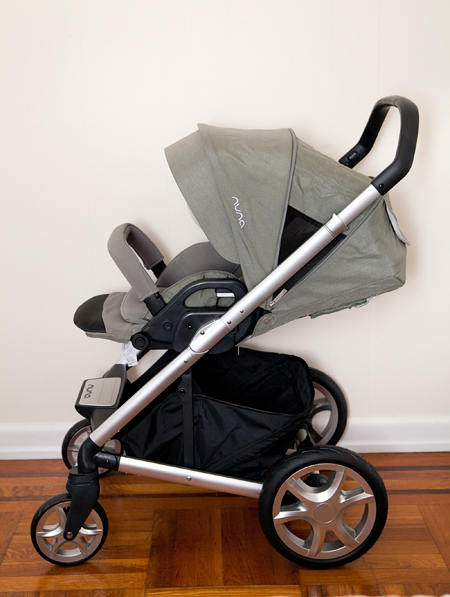 If Nuna only shaved a few pounds off and made the stroller a little more maneuverable, the MIXX would be just perfect! 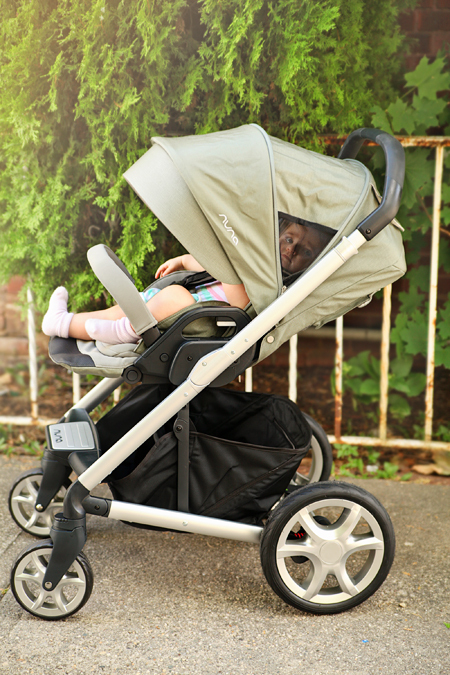 Once again, I'd like to thank The Baby's Den, for providing a stroller for this review. No other compensation was received and as always, all the opinions are entirely my own. 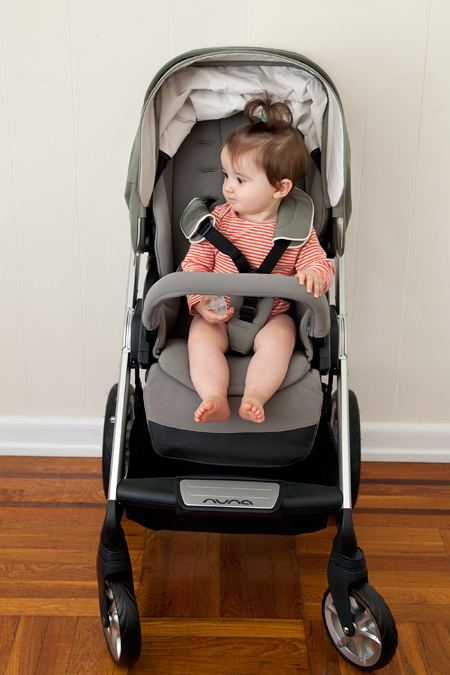 My son was 2.5 years and 36" tall when I reviewed the Nuna MIXX. The seat backrest measures 19.5 inches. 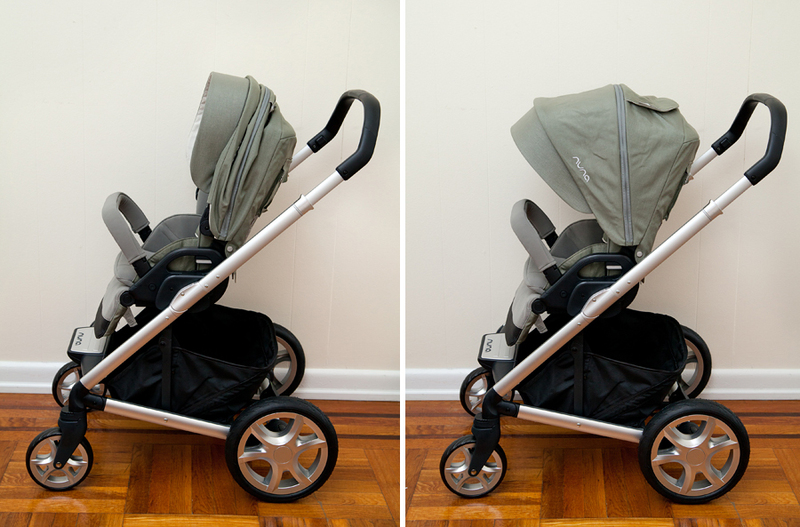 There aren't too many reversible strollers with a high seat back. Easywalker Mosey/Mini comes to mind. It's one of my favorite strollers. Bugaboo Bee3 is another. I also love the way toddlers fit into Bumbleride Indie. 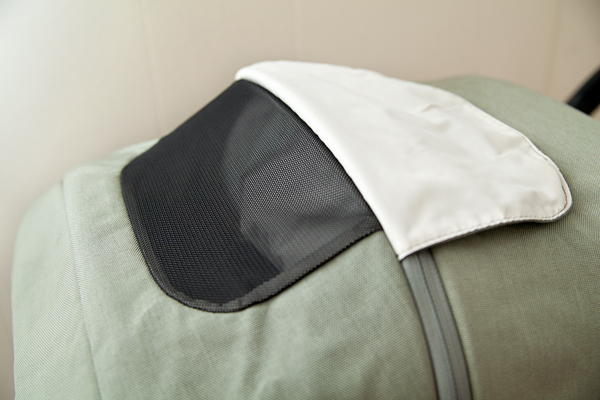 It's not reversible, but it can be used with a parent facing infant bassinet. It has a flat recline and an amazing push!